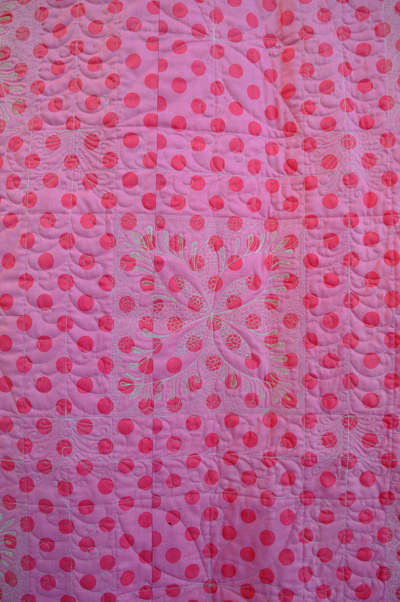 Another very densely custom quilted finish. 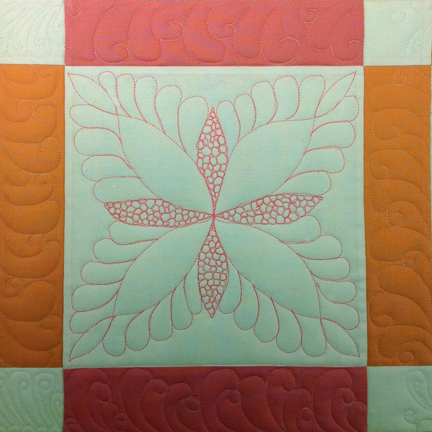 First I just did this design in pink and I was happy with it and moved on to quilting the sashing. 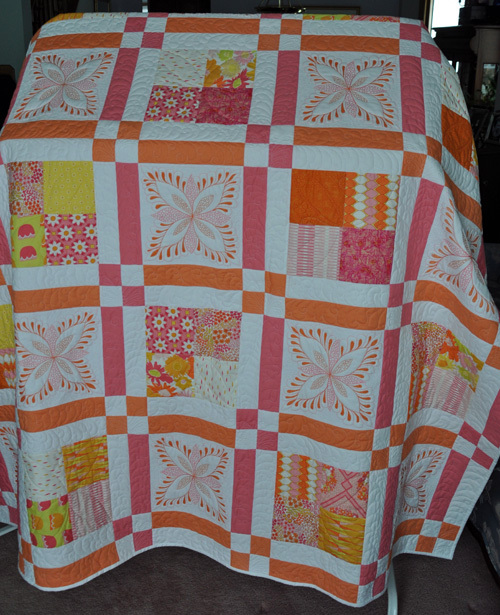 Once I finished quilting the sashing I decided that I needed to add a little more quilting. 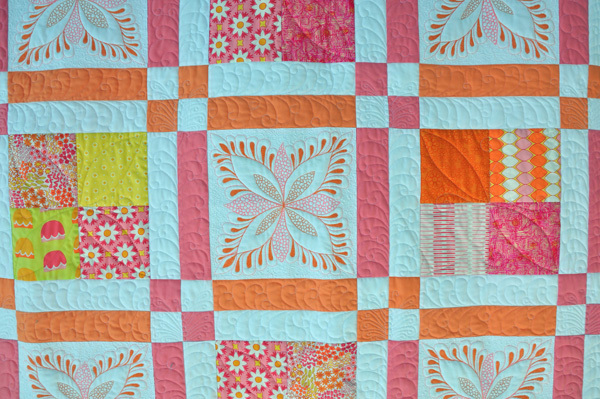 I came back in with orange thread and added the inner petals filled in with pebbles. Still not satisfied I added the inner orange loops. 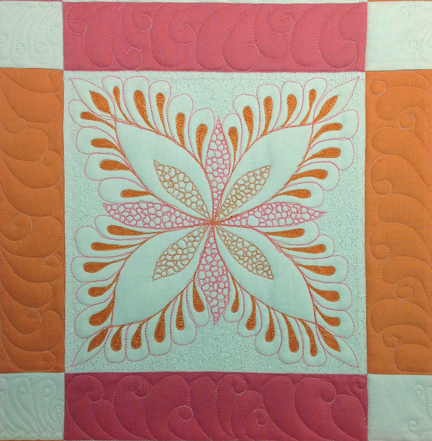 Then I decided to fill the orange loops with thread to give it more dimension. 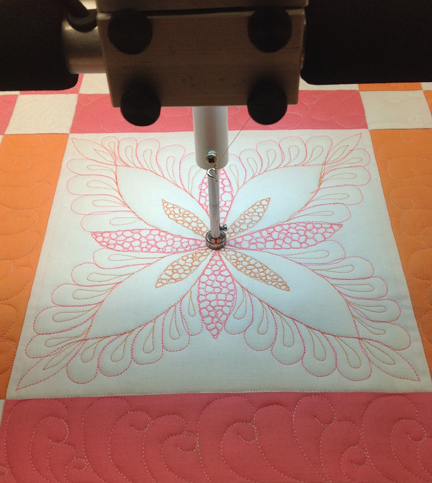 I was happy with the final design so I advance the quilt and moved on to the next section.. Then I got the bright idea to do some dense quilting in the background to allow the design to really pop forward. 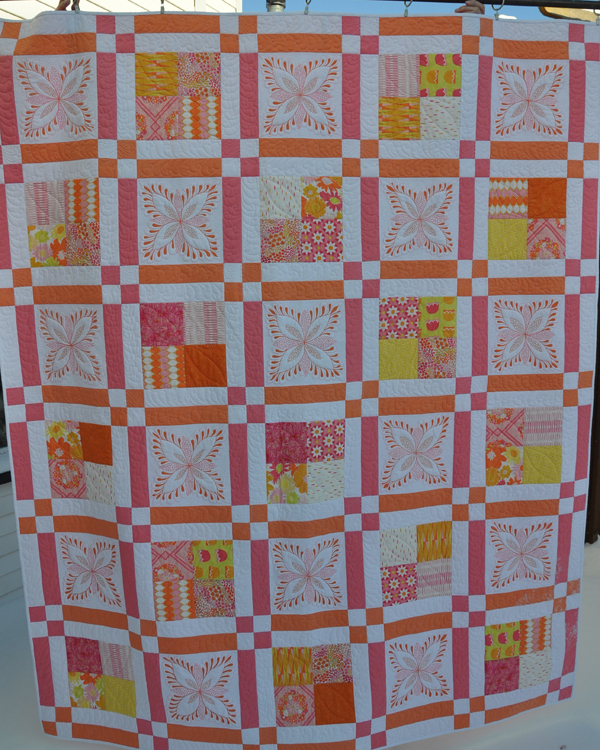 I lost track of how much time I put into the FMQ in the 15 white squares but it was substantial. 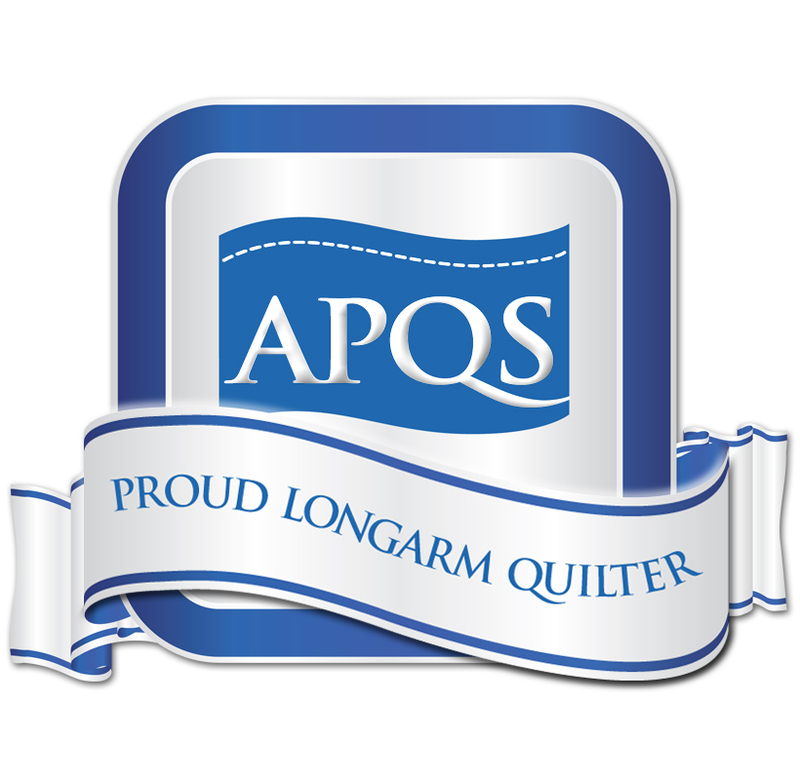 This entry was posted in Custom quilting, feathers, Full custom quilting and tagged custom quilting, full custom quilting, longarm quilting. Bookmark the permalink.